Kathleen Marler (from Indialantic Florida). Si “Lam” Huynh, the owner of Prince Jewelers in Arcadia, Calif., has come up with a way you can express your love for your mother while at the same time helping out a very worthy cause, namely the Eye on Jacob Foundation (http://eyeonjacob.org/). Lam is introducing a line of jewelry that has been almost two years in the making. 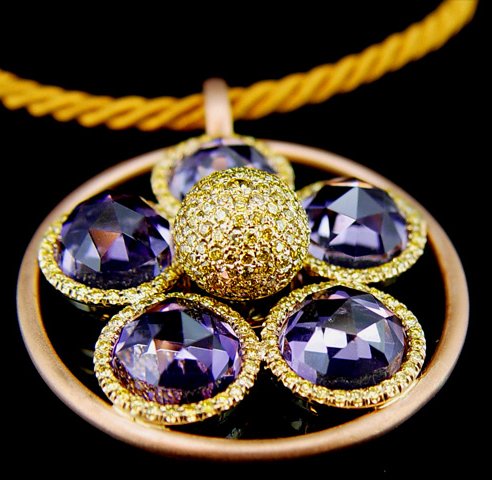 He calls it his very special Mom’s Pendant, but it is also available in a ring or bracelet. Not that anybody would care, but my favorite Christmas present was a book. It beat out a pair of L.L. Bean slippers by a considerable margin. This just wasn’t any book. 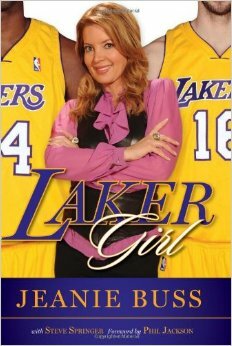 Titled “Laker Girl,” it’s a diary by Jeanie Buss, who, with help from my former Los Angeles Timescolleague Steve Springer, takes readers through the 2009-2010 NBA season. When the Lakers were presented their championship rings shown off in a crowd-cheering ceremony prior to the season opener against Houston this week (video below), the pendant Jeanie Buss was wearing was made by Si “Lam” Hyunh, who owns Prince Jewelers at 411 E. Huntington Drive in Arcadia. Arcadiasbest.com blogger Larry Stewart has been named President of Prince Jewelers in Arcadia. Stewart, a sports columnist for the Los Angeles Times for more than 30 years, has been a friend and customer of Si “Lam” Huynh since Lam opened Prince Jewelers in 1983. The store is in the retail center at 411 E. Huntington Drive. Over the past couple of years Stewart has introduced Lam to a few of his many high-profile friends in sports and other professions. One of those introductions led to Lam creating custom cufflinks for Lakers coach Phil Jackson celebrating Jackson’s 10th NBA championship, which Stewart arranged to deliver in person with Lam prior to a Lakers game last year through Jackson’s girlfriend and Lakers executive vp Jeanie Buss. Lam also surprised Jeanie with a custom-made pendant. That's actress Jane Kaczmarek with Lam wearing a special starburst pendant he designed. The pendant, valued at $8,000, was auctioned off at a fundraiser at Union Station in May that raised $375,000 to help sustain Union Station Homeless Service programs. Of the pendant, Jane said, "It is stunning." Jeanie Buss is one of the big bosses in the Lakers’ organization. Yet she is loved in the organization for just being a sweet person (and not loved by solely the head coach). Buss’ involvement with a local Arcadia jeweler — whose teenage son is a diehard Lakers fan — was similarly sweet. Upon being told about the jeweler, Vietnamese immigrant Si Huynh (who goes by “Lam”), wanting to make cufflinks for Phil Jackson to commemorate his 10 NBA coaching championships, Buss tried to pay for them. When she couldn’t do that, she arranged for Lam to come to a game and present his gift to Jackson in a meaningful moment for Lam and especially Lam’s son, Jordan. Lam was also a guest at the Lakers’ most recent home game last Monday against San Antonio in Buss’ ongoing efforts to pay him back. The year 2015 has been a good one for Si “Lam” Huynh, the owner of Prince Jewelers. As his business at 411 E. Huntington Drive continues to prosper, Lam continues his philanthropic ways of helping those in need. In June, Lam teamed with Paul Rusnak and Donna Pierson to help raise $140,000 for Rosemary Children’s Services Cottage Guild at a fundraiser held at the historic San Antonio Winery, Los Angeles oldest wintery. Lam’s contribution was a beautiful Diamond Heart pendant, which he designed. It added luster and brightness to what was already an excellent event. Rosemary Children’s Services, based in Pasadena, is one of the oldest West Coast charities that helps boys and girls of all ages who have suffered abuse, neglect and abandonment. The residential program features Rosemary Cottage and four group homes. The charitable organization also has a foster care program which annually helps nearly 400 children throughout Los Angeles, San Bernardino and Riverside Counties. Other programs include a private school that provides specialized education in a small structured environment, and a mental health program to provide individual and group therapy and training in various life skills. 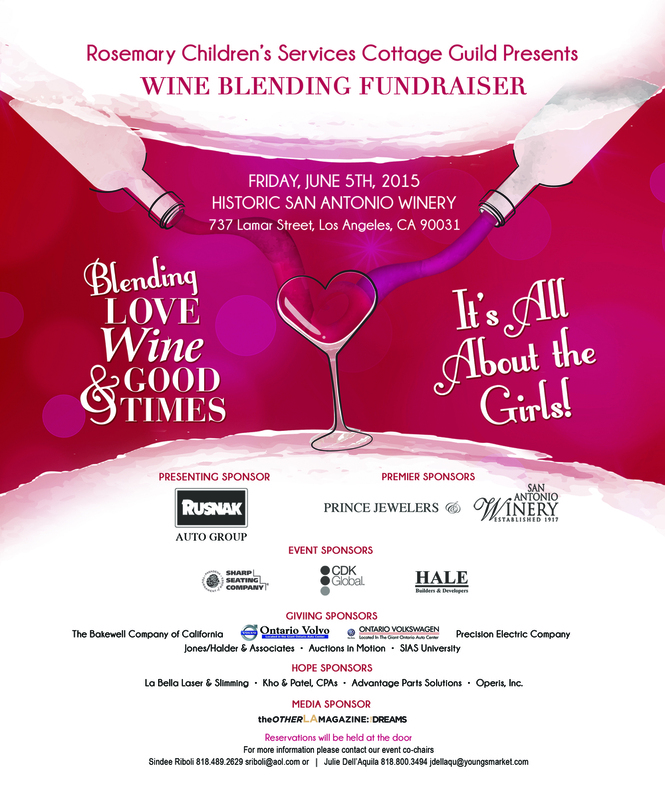 At the event at the San Antonio Winery, attendees could blend one's own wine while supporting Rosemary Children's Services' precious foster girls. Paul Rusnak, a longtime businessman and community supporter, has touched many lives with his generosity of time, money, influence and kindness through a wide variety of organizations and causes. From fulfilling the dreams of sick children to donating to music performance groups, from supporting a home for abused children to helping Junior Girl Scouts achieve their "car care" badge, the auto dealer seems to have the magic touch. The Rusnak Auto Group consists of locations throughout Southern California and showcases many vehicle brands, has developed and facilitated dozens of relationships with nonprofit organizations and community groups in the 40 years he has been in business. "Our mission is not only to raise money and sponsor events, but to create awareness of needs and give back to our community," Rusnak says. Lam has the same philosophy, knowing his ability to design jewelery can be put to use in helping others. Lam designs "Diamond Heart Logo" for Rosemary Children's Services Cottage Guild. With help the help of Paul Rusnak and Donna Pierson, the event raised $140,000 for children.